Here you can see the Jackson skates available through The Skater’s Edge. To be sure you have the best skate for your personal skating experience, and to be sure you get the correct fit, please schedule a fitting appointment with us and we will be happy to help you find your perfect skate! One of our bestselling models of skate, the SoftSkate will provide just the right amount of support and a whole lot of comfort for everybody. Kids love the fun colored lining (available in pink, blue, purple, and white fleece), and adult skaters find that this is a great starter skate for those taking lessons, or a perfect recreational skate for those who just need to keep up with the kids (or grandkids!). 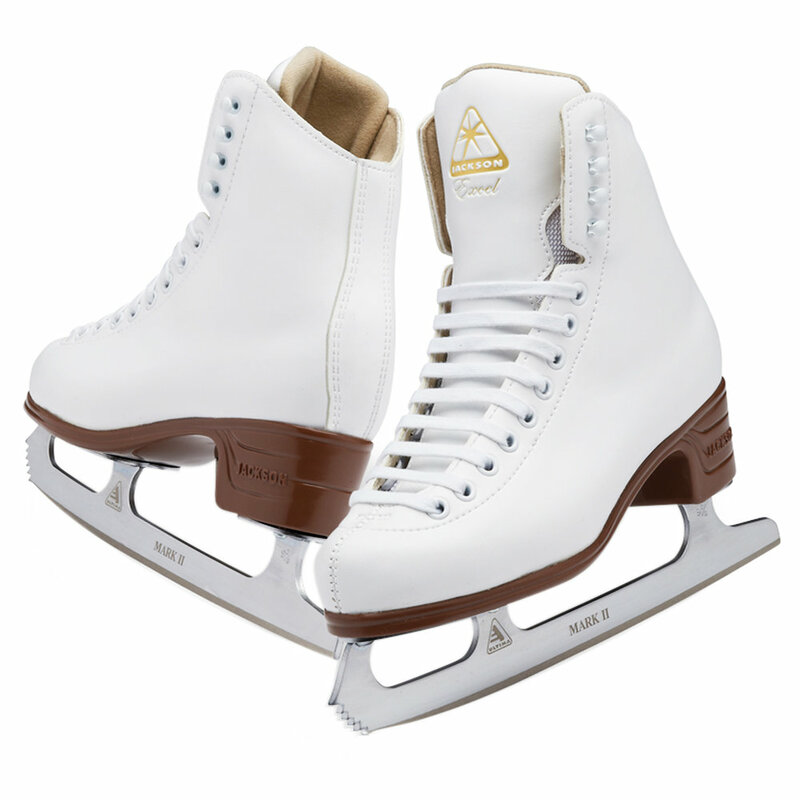 Excel is wonderful for those who want that traditional figure skate look without the rigid support of one. It has a soft lining and a waterproof sole for easy skate care. If you’re just starting taking lessons Excel can be a great match! The Mystique is a skate for someone who is developing their skating skills beyond just backwards and forwards. Featuring a little bit more support, Mystique is great for learning better control of edges and getting a bit more serious about skating while still providing comfort. A great artiste has focus, precision, dedication, and flair. So does the Artiste skate! It has stiffer support that is even ready for beginning single jumps for some skaters! For older kids and adult skaters, Artiste can provide the structure necessary to learn more advanced turns and edge work without your feet leaving the ground. Elle is ready for action. This skate is ready for beginning single jumps and beyond. 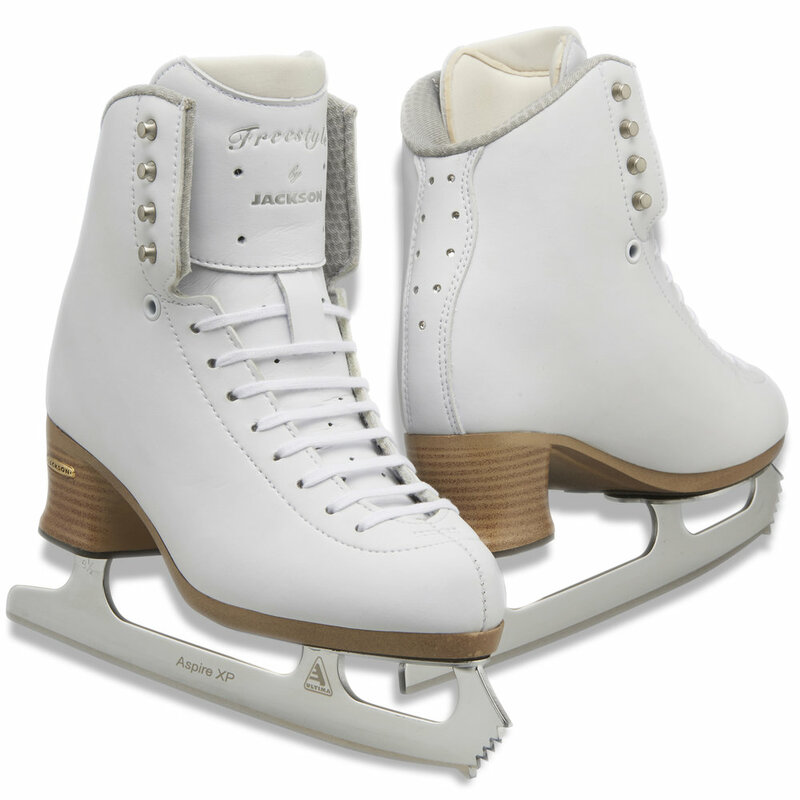 It is the first in the Jackson recreational line that is Heat Moldable— where we can precisely fit the boot to the skater’s foot. Paired with a Fusion sole and the Swarovski inlaid crystals on the back and this is one serious skate. Affectionately known around The Skater’s Edge as Elle’s “big sister,” the Freestyle skate set will meet the need of almost any skater. Recreational skaters who need more support will find it here. 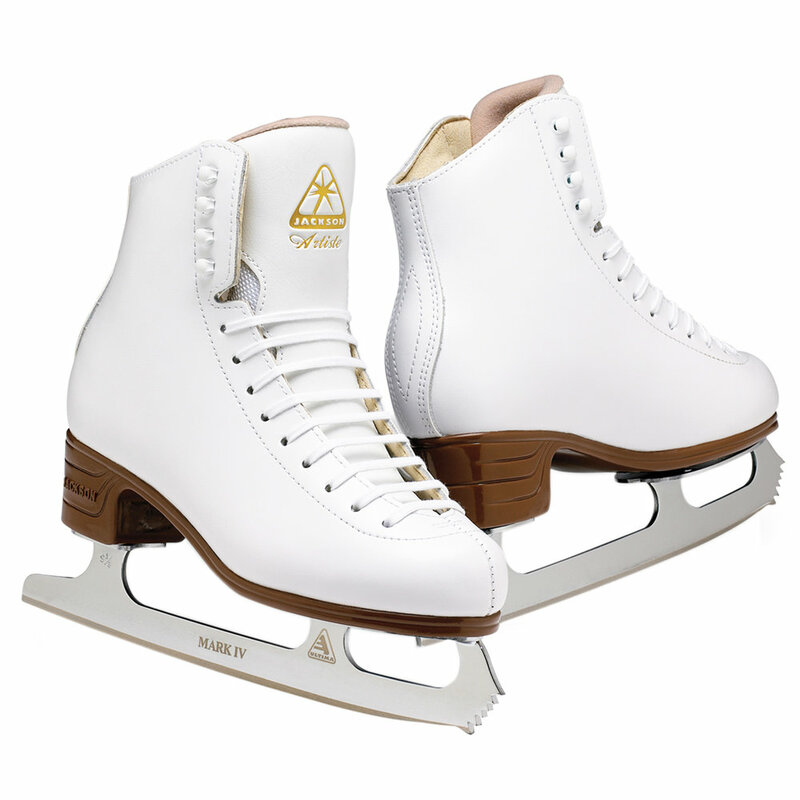 Skaters taking lessons and working up through single jumps and into Axel will be stable and comfortable.